Piotr Kosowicz, Executive Director of Balamara Resources announced, that his company is seriously looking into possibility of taking over Makoszowy mine, which since April last year is owned by SRK (yet still working). 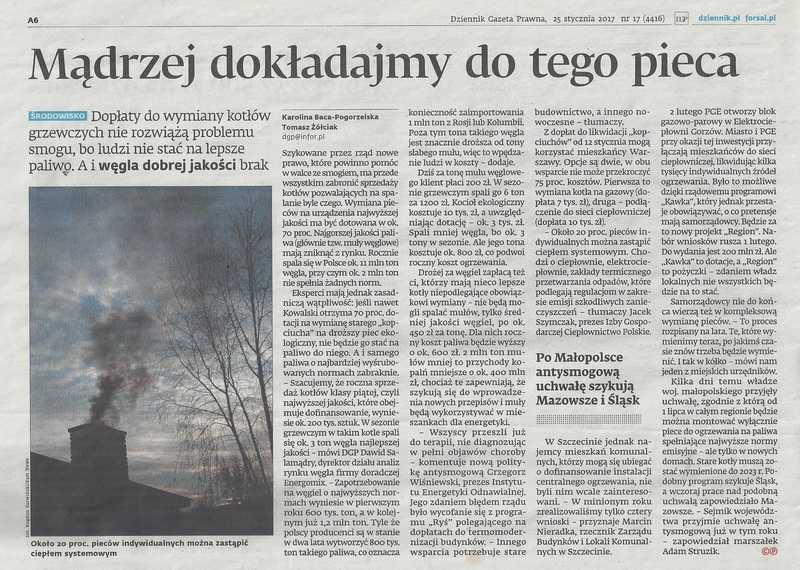 Crew from the coal production facility is paying its addresses to PGE for quite some time now, and probably got so much used to the idea of being another case of happy marriage between mine and energy group, that they would block all the attempts made by the private investor (like unions from Brzeszcze done with Synthos). Press review: according to Rzeczpospolita, Material Reserves Agency (ARM) was subsidized with 380m PLN – three times more than revenues from ARM’s original budget for 2016. The whole operation was done on the last day of 2015. Still no comments from any of the parties. From 1st April Minister of Energy Krzysztof Tchórzewski will be responsible for more energy&resources related entities. The updated list of his responsibilities contains of: KW, KHW, JSW, PGE, Tauron, Enea, Energa, TF Silesia and ZEW Niedzica (both were involved in NKW project), Węglokoks and Węglozbyt (traders), Central Mines Rescue Station and State Mining Authority.